Israeli authorities shot and killed three Palestinians and demolished 20 Palestinian-owned buildings in the occupied West Bank and East Jerusalem between January 15 and 28, according to the latest report issued by the United Nations Office for the Coordination of Humanitarian Affairs (OCHA) in the occupied Palestinian territory. The report by OCHA indicates that three Palestinians, including a minor, were shot and killed by Israeli forces in three separate incidents in the West Bank. This brings the number of Palestinians killed by Israeli forces in the West Bank since the beginning of December 2018 to a total of 11. 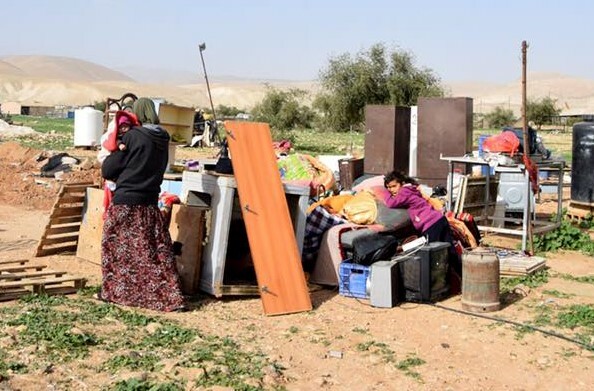 OCHA confirmed that 19 of the structures were demolished due to the lack of Israeli-issued building permits, six in East Jerusalem and 13 in “Area C.” The remaining structure was an apartment in the city of Yatta, 8km south of Hebron in the West Bank, which was blown up and destroyed on punitive grounds. The apartment was home to a Palestinian who stabbed and killed an Israeli settler in September 2018, and was subsequently detained after he was shot and injured. Forming a third of the occupied West Bank, with 88 percent of its land classified as Area C – under full Israeli military control – the Jordan Valley has long been a strategic area of land unlikely to return to Palestinians following Israel’s occupation in 1967. Israel almost never gives Palestinians permission to build in land classified as Area C – the more than 60 percent of the West Bank under full Israeli control – leaving residents no choice but to build their homes without permits and who therefore “live in constant fear of their homes and livelihoods being destroyed,” Israeli rights group B’Tselem has said. The OCHA report said the Israeli authorities uprooted 1,250 Palestinian-owned olive trees under the pretext that they were planted in an area declared as “state land,” affecting the livelihood of six families. The incident occurred in a farming area next to the town of Beit Ummar, 11km northwest of Hebron. The report added that the uprooted olive trees were between five and nine years old. A petition against the uprooting of the trees, filed by two of the families with an Israeli military court, had previously been dismissed.